It’s never too late to get your powder fix. Don’t break out the spring skiing gear just yet. Winter is still alive and kicking in Utah. If you’ve been here before, now’s the time to come back for a second, third or fourth helping of The Greatest Snow on Earth®. If you haven’t dusted your gear off yet this season, this is the snow you were waiting for. Our resorts have been building a steady base of packed snow all season, and this latest storm adds a pillowy-soft coat of our world-famous fresh powder to the mix. 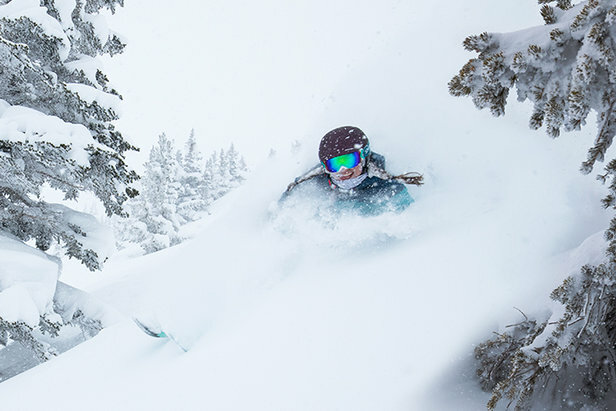 What makes Utah’s powder so special? 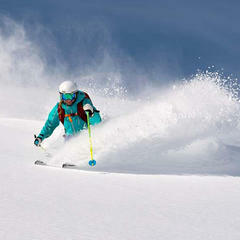 You’ll notice the difference the first time your skis or board float effortlessly through a recent snowfall. 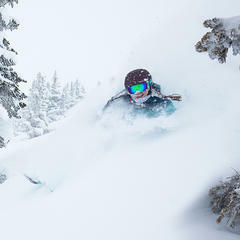 Utah’s geography produces a uniquely dry, light snow that makes ripping through powder a breeze, no matter which of our 14 resorts you visit. Get here and get on Mountain TimeTM. 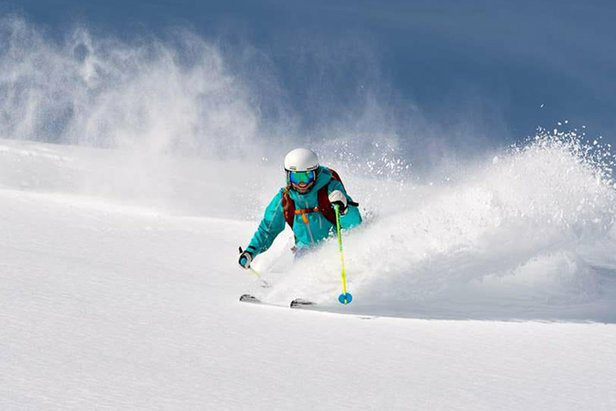 With 10 resorts within 1 hour of Salt Lake City International Airport, you get more runs on more resorts in a single vacation than you could ever imagine. 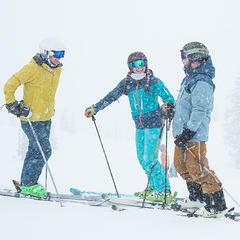 Start your trip just outside of Ski City at one of four resorts (Snowbird, Alta, Solitude or Brighton), then move your way up the canyon to Park City and visit Deer Valley or Park City Mountain. 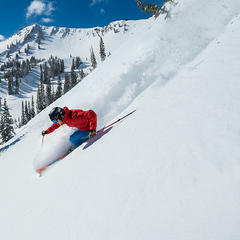 For a change in scenery, follow the lead of many locals by taking the quick 45-minute drive up to the Ogden Valley and experience cat skiing at the aptly-named Powder Mountain, or tear up Olympic-level runs at Snowbasin Resort. Grab some friends and experience a legendary weekend together. Mountain TimeTM isn’t just about packing in run after run. If you want to really get away and feel like you have a mountain to yourself, head 90 minutes north to Cherry Peak and Beaver Mountain, or fly into Las Vegas and drive north to southern Utah (where things are warming up in Utah’s red rock country) to tear up Brian Head and Eagle Point. 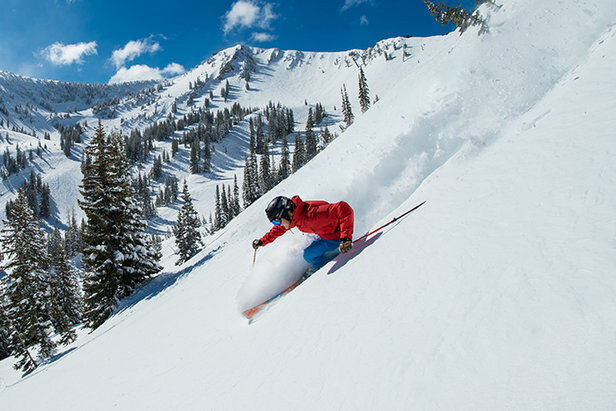 No matter how you choose to ski Utah, now’s the time to do it. 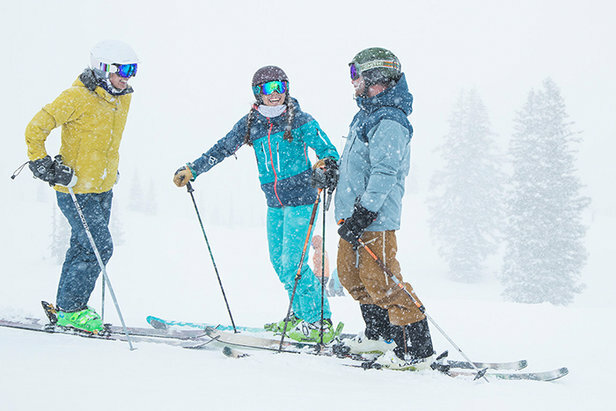 Start planning and get your fill of fresh powder before the season winds down. Nothing compares to bluebird powder days.